Backin4 are a popular 4-piece rock / pop covers band that play a wide range of material to appreciative audiences across both Oxfordshire and surrounding counties. Their core strength lies within the diverse spectrum of music they cover from the mid 50’s early days of rock n roll right up to current musical genres. The band utilize their vocal abilities often splitting lead vocal duties coupled with harmonies that really give depth and polish to their overall sound. 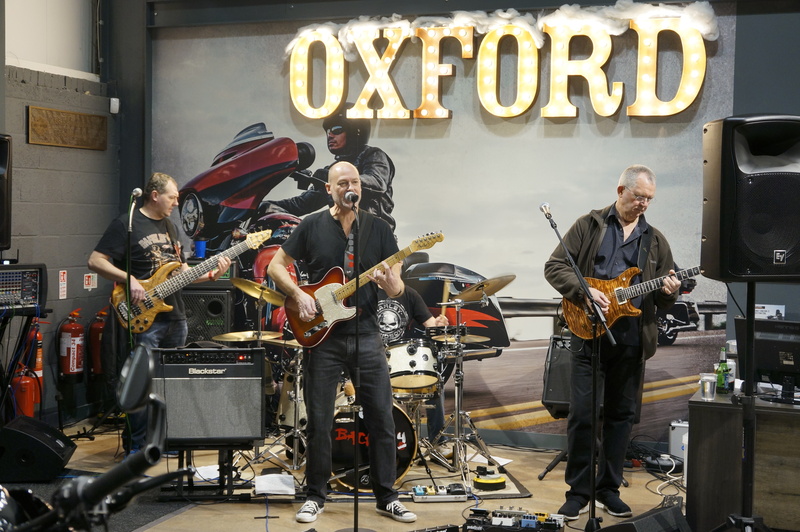 The band recently played at the annual Christmas party at Oxford Harley-Davidson and were very well received. The band are delighted to be invited to play the Friday night slot at the forthcoming Oxford UK Chapter’s (where the drummer is a member) first rally, The Big Chill, in July in Calne and are really looking forward to delivering the goods to another appreciative crowd. Full of energetic talent and a passion for performing, this rock ‘n’ roll band will take you back in time, performing hits from artists such as Elvis, Jerry Lee Lewis and Eddie Cochran. The band add a unique twist to their sound by taking inspiration from the 50s and 60s and injecting their own contemporary vibes creating a fresh and lively performance.